I was born in England in September 1971 where I was raised by my Parents, Helen and Graham Cotterill. Most of my life I lived on the Isle of Wight, until work took me to the medieval market town of Tewkesbury, Gloucestershire, which is on the edge of the Cotswolds. I worked for many years in the hotel industry, as a Front Office Manager, before making a career change to work as a Personal Assistant. 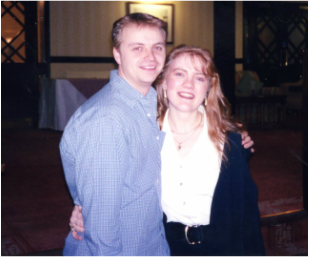 1996 changed my life forever as I met the love of my life, Alan. In 2004 we finally become Husband and Wife, and only a year later we moved from what we knew, to the unknown. We moved from Tewkesbury, England to Marton, New Zealand. We had never visited this wonderful Country before, but had heard and read a lot of encouraging things. We knew it was the place to raise a family. Our first born Son was born in 2006, followed by his Sister 3 years later and finally his younger Brother in 2011. Sam, Sophie and Thomas are full of energy and bring light into our lives. 2nd November 2015, I was appointed by the Registrar General to be a Marriage and Civil Union Celebrant. To further my professional development, I attended the Celebrant School in Auckland, to gain my 'Certificate in Celebrant Studies'. I have had tremendous support from my family, for which I will always be truly grateful. I believe all celebrants should be trained as the school gives you the knowledge and the understanding of the celebrant ceremony process. I do work by a code of ethics set out by the Celebrants' Association of New Zealand Inc, as I am a member of CANZ. My Husband Alan, has been a Self Employed Electrician in Marton since we first arrived here (all bar the first six months), and he has worked so very hard to give his family a warm loving home, without his support, I would not be the person I am today. "smile, breath and believe in magic"